Visual merchandising (VM) today is not only limited to floor and window display; it is not only limited to fashion and clothing. Visual Merchandising covers all the necessity to capture the attention of the customers by all means from the facade of the store to the location of each product inside the store – may it be a department or specialty store. To capture attention, awaken the senses, provide the customers a wonderful buying experience, which will bring them back to the store for the next time and become a loyal customer, and make more sales are the major concern of an effective visual merchandising. 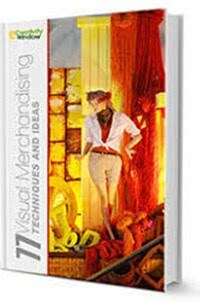 Visual merchandising is a merchandising technique which effectively uses atmospherics. According to Levy and Weitz, atmospherics is the design of an environment through visual communications, colors, lighting as well as music and scent to stimulate customers’ perceptual and emotional response and ultimately to affect their purchase behavior. While merchandising is focused on the general methods, practices, and operations visual merchandising is focused on the presentation of goods and visuals to promote the products. Window display on the other hand is a form of visual merchandising and it is not an equivalent of the latter but in the past years VM is mistakenly equated to window display. No one wants to have boring product display; every visual merchandiser wants to have interesting shop window and indoor display to capture not just the attention of the customers, but their entire senses. One of the retail elements that greatly affects you visual merchandising effort is the store environment. According to Dunne and Lusch (2005), store environment is an important element in retailing given that 70% of the purchase was an impulse buying or unplanned purchases. A critical review on the effects of store environment on shopping behaviors conducted by Shun Yin Lam (2001) shows that there are many factors and elements to consider on having a good store environment. These elements include music, color, scent, lighting, visual information, consumer density and much more. Today, you will be learning the visual merchandising ideas, that are certain to get expected results, and some points to consider on having a good store environment. Let us start the list. Winter, Spring, Summer and Fall may be popular but there are still thousands of visual merchandising themes which you can – actually, sky is the limit when we talk about themes. Try to employ at least six different themes in a year. If you can use varied themes in every month, it is better, but this is quite unmanageable. Six different themes in a year are more flexible because this will allow you to change your theme every other month. You can inline your theme with special events like Fathers’ Day, Mothers’ Day, Teachers’ Day, Valentine’s Day, anniversaries festivals, and other celebrations and holidays. Variation will support your theme to avoid boringness of display and decoration. You can use the same theme every year but avoid using the same display and style. You need to create a new look or else you will only annoy your viewers. Scheme is also best applied to employ variation. A scheme works like a sub-theme. Say for example you theme is Christmas, you can create one White Christmas Window, one Toys Kingdom Window and one Christmas Party Window. All of these three schemes are related to your Christmas theme. Also avoid using the same material for different themes consecutively. You may keep the materials you have recently used and use it again after few months or put it in other locations or other branch of your store. People love novelty, something they haven’t seen before. You can search for some visual merchandising ideas in the internet. Copy different ideas, combine them together then modify. It is copy, combine and modify – not copy and paste. In South-east Asia, it is common to some popular brands like Milo, Double A, Pepsi, Coca-cola, Tipco and Maggi to conduct merchandise display contest to generate more sales. On the contest, the participating stores are required to design and set-up displays with oversized props o get the attention of the shoppers. This strategy has been proven to be effective. Don’t forget to apply the elements and principles of design to your projects. The elements of design are line, shape, form, size, space, color, value and texture while the principle of designs are novelty, variety, harmony, unity, balance, proportion, emphasis, contrast, rhythm and pattern. Effectively use colors, texture, shape forms and lines. Establish a focal point on your window display for easy viewing then harmonize each element of your display to maintain neatness and to direct the eyes of your viewer to each element of the display. Always remember that the elements and principles of design are the keys to a successful visuals. Integrating printed materials, multi-media, interactive installation and sensory input in your display are known to be dynamic techniques and are becoming the visual merchandising trends, especially in the coming years because of the fast moving digital civilisation. Gone are those days that retails stores rely only on a simple product presentation. Think about what captures the attention of busy people in this digital age where almost everyone who are passing by your store are walking so quick if not looking slowly while looking at their mobile phones or tabs. In some countries with more advance technology, some retailers install an interactive window where customers can customize features on some products, before paying their own-designed items at the checkout counter. Allocate extra budget to develop your store the facade and external appearance of your store because these are the first thing that will be noticed by the people at street. Maintain the good look your store – the marquees, awnings, signage, banners, entrance and landscapes are the things areas you need to consider. You can use significant color or unique carvings and moldings that represent your business so that your store can be easily identified among other businesses. Shelves, showcases, racks and other POS materials should be well maintained as well; if one is damaged, do not hesitate to repair it or decorate the part that is damaged. Repaint the old wall and ceiling, change the old posters, remove torn stickers and wash the artificial flowers and fabrics on your display. Do not wait until your store will like a haunted house. Keep it fresh. If you have a big store, provide enough directional signs inside your store and don’t forget to include the local language in your sign and signage system. These are also known as visual indications that direct your customers to roam around your store which often results to unplanned purchase. Use light-directed signage in front of your store to attract people during the night and don’t forget to change the old signage. Levy and Weitz (1995) says that signs and graphics also helps customers find the department or merchandise they’re searching. 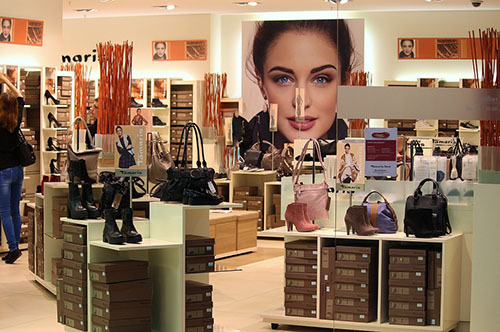 Graphics such as photo panels can add personality, beauty and romance to the store’s image. In addition to a good floor plan, enough height of the ceiling from the floor is also important. As I observe, 10 feet is ideal but higher than this is better. If the distance between the floor and ceiling is lower than 10 feet, use shorter shelves to provide enough space for the eyes of your customers wander inside your store. Overstocking goods on the shelves and racks is also not good ideas because this would ‘choke’ the items. By adding a little classic aroma, music and dramatic lighting inside your store, you can create good impression to your shoppers. It is also important to match the type of ambiance with the lifestyle and culture of you target market. Shun Yin Lam (2001) founds out that the effects of store environment on emotions, cognition and shopping behaviors differ across countries owing to differences in culture and adaptation level of environmental stimuli, and the effects of store environment on service quality assessment and shopping behaviors vary with consumers’ shopping experience with a store. I look forwards that this article could help you on driving on you visual merchandising activities. Thank you for reading. Godspeed!